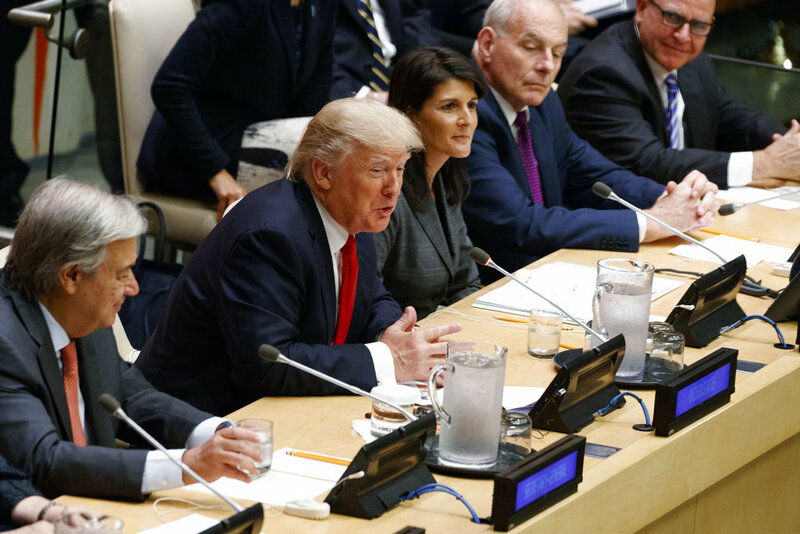 President Donald Trump is pressing the need for reform at the United Nations as he speaks at a meeting on U.N. reform ahead of the U.N. General Assembly in New York. He also says no member state should shoulder a disproportionate share of the cost. Trump’s first appearance before the organization is at a U.S.-sponsored event on reforming the 193-member organization. President Donald Trump is plunging into a foreign policy-focused week that will be anchored by his first address to the United Nations General Assembly. Trump planned Monday to address a U.S.-sponsored event on reforming the 193-member world body. Trump criticized the U.N. during the presidential campaign as weak and incompetent, but has softened his tone since taking office. Trump wants the U.N. to cut spending and make other operational changes. Tags: #DonaldTrump, #unitednations. Bookmark the permalink.